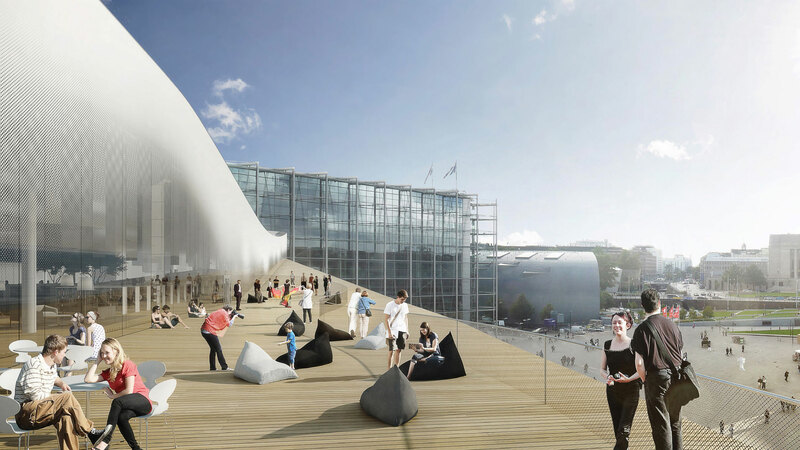 Helsinki Central Library Oodi is an inspiring and highly functional addition to Helsinki’s urban life. 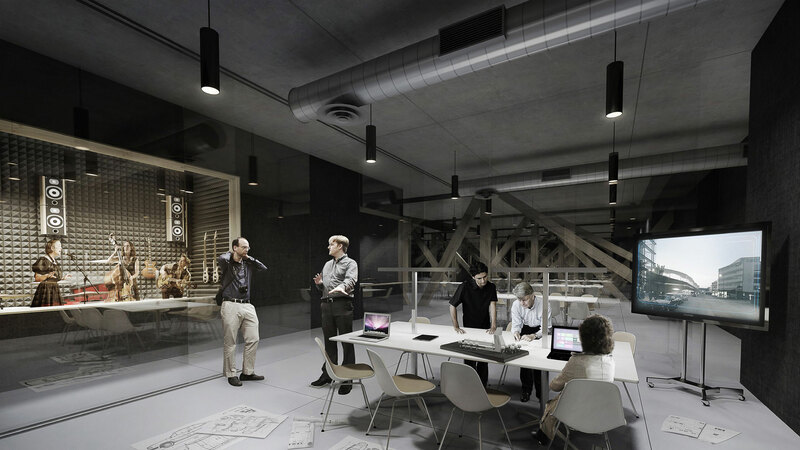 The building opens directly to the surrounding cityscape, and the architecture feeds curiosity that draws people inside. Oodi is situated on Citizen’s Square, which seamlessly transitions to the entrance canopy and into the building. 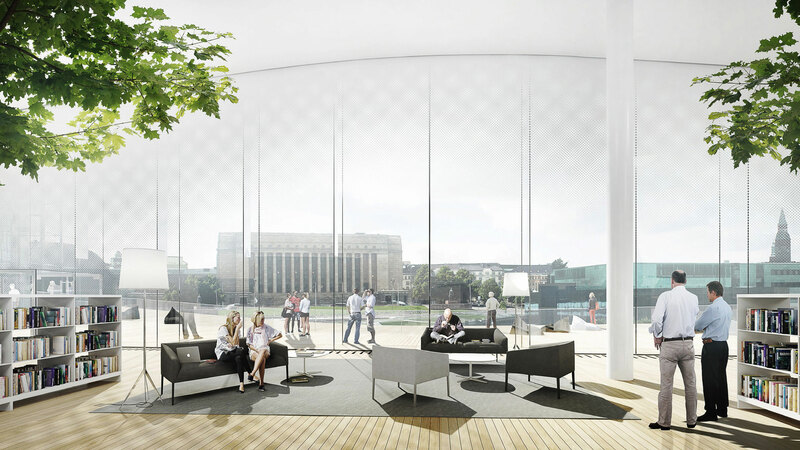 Oodi has 10 000m2 of public space and is open 90 hours per week. Thus, the public truly has their own building in the city centre. Directly across the square is Finland’s Parliament, where from Oodi’s top floor, the public is symbolically at an equal level with their elected representatives. 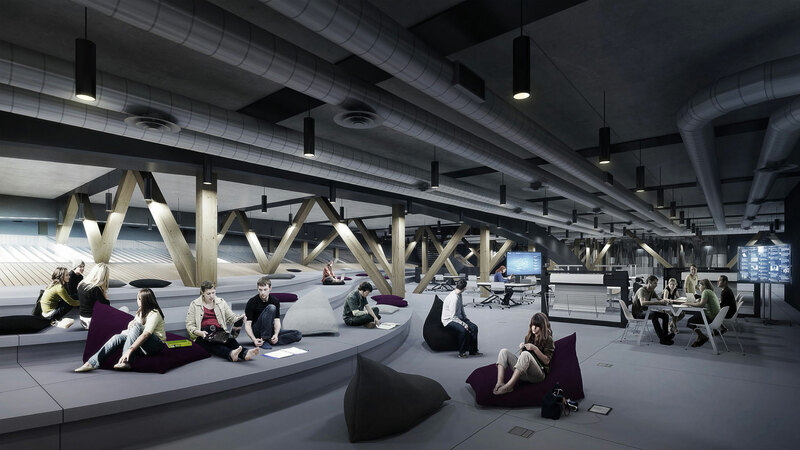 Oodi’s spatial concept is based on building the library as an inhabited bridge with three distinct public floors: under, on top, and within a bridge structure. This concept divides the functions into a fluid ground floor, a peaceful upper floor, and a mechanical in-between space. The sculptural double-helix staircase is a unique feature that connects and unites all three floors. The open lobby on the ground floor gathers people together and is suitable for all kinds of events. 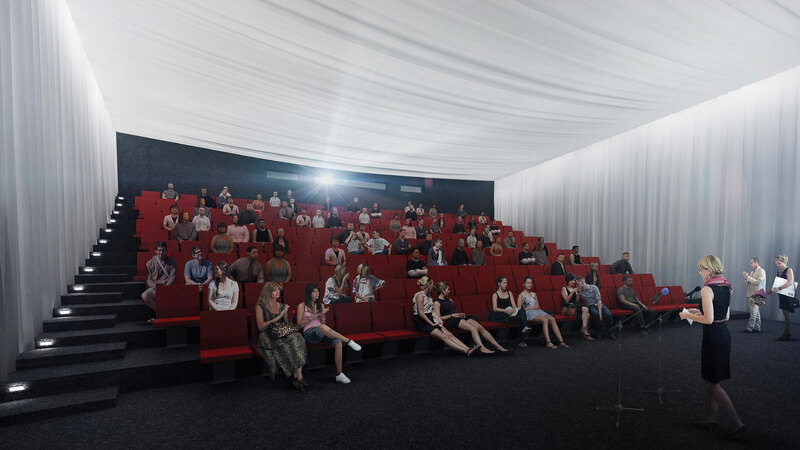 The multipurpose hall and cinema are extensions of the lobby. The ground floor functions can also extend to the covered outdoor area. The middle floor consists of rooms, nooks and corners that inhabit the spaces within the bridge structure. 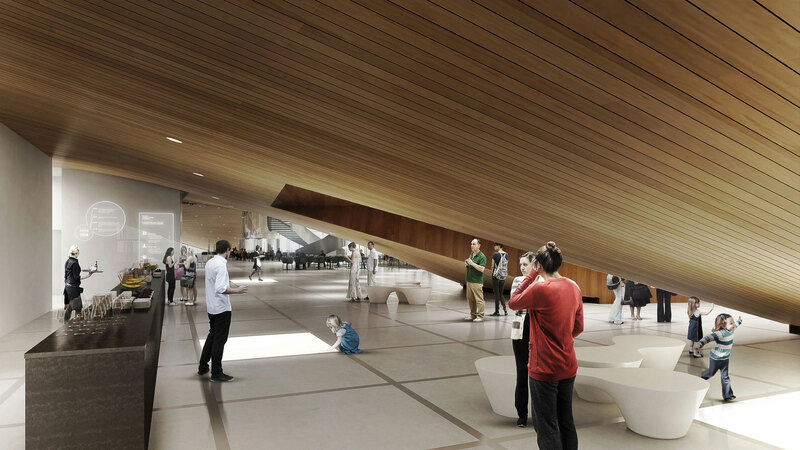 These enclosed spaces accommodate working areas, studios, and learning labs. 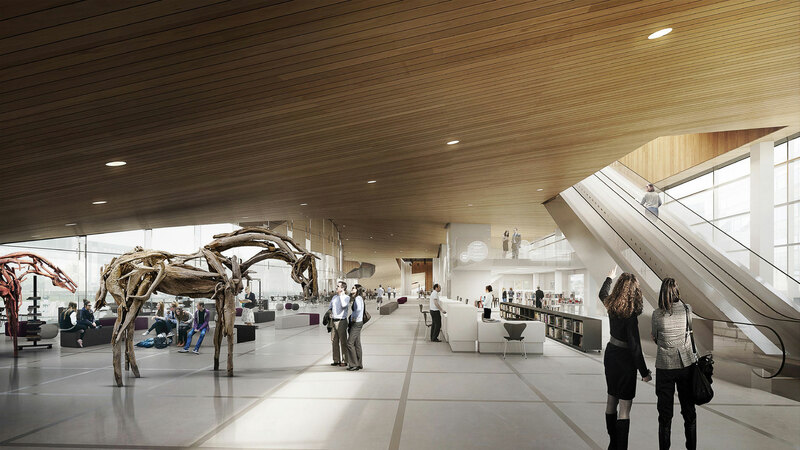 The top floor presents the best features of a modern library. 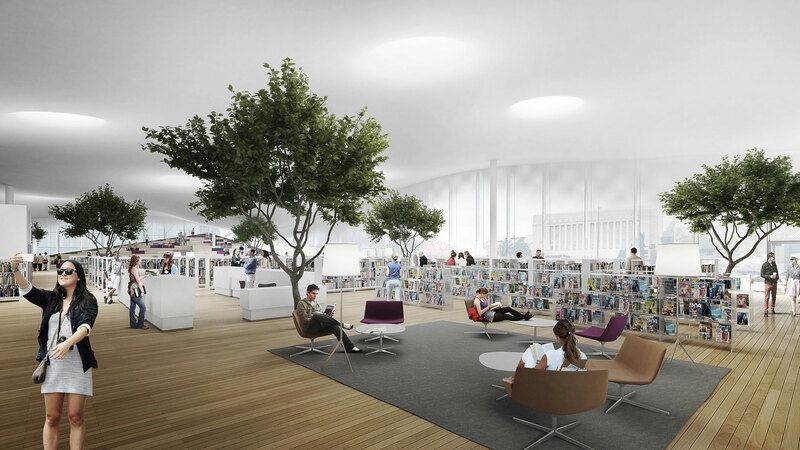 The open space with living trees is topped with a cloud-like ceiling, giving the impression of a sheltered indoor park. 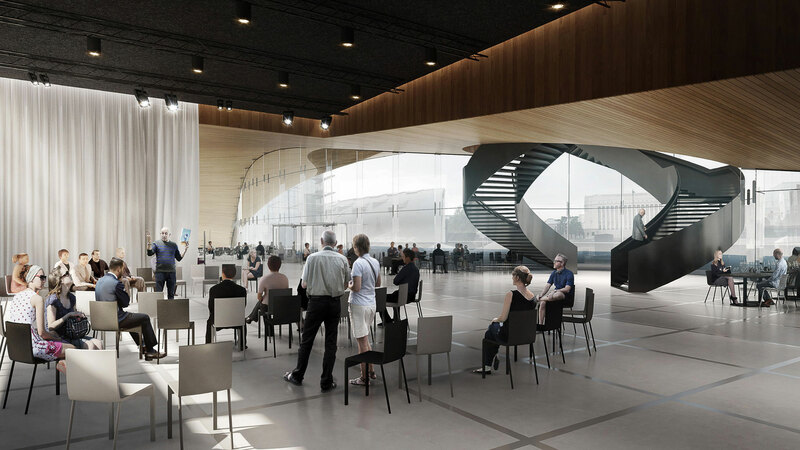 The top floor also offers unobstructed panoramic views and a large public terrace. Oodi’s multifunctional venues serve as a platform for public activity. The main hall for example has been used as a conference room, stage, dance hall, dining room, and even housed a 100 m2 story time tent for children. This same flexibility applies to the entire building. The lounging steps on the second floor have been a stage for performances. The first floor lobby has been a radio station. On the third floor, the reading area has once morphed into a kids’ workshop, and the terraced steps have become a stage for cello recitals. Individuals and organizations can arrange events, public debates or performances. Oodi also houses several partner organizations with whom the library joins forces to organize opportunities for lifelong learning. With Playground Loru staff arrange learning activities for infants and their families. With the National Audiovisual Institute, staff organize media education. With the EU-point staff organize events about society and active citizenship. During the first 4 months of the year Oodi has had more than one million visits, organized 250 events with almost 25 000 participants, and has registered over 9000 new library users.